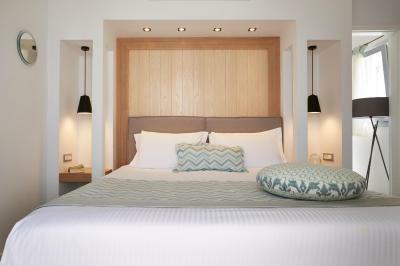 Lock in a great price for Volcano View by Caldera Collection – rated 9.1 by recent guests! 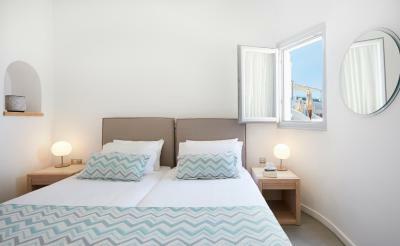 The views, the staff is very friendly and kind, the rooms are spacious and clean. 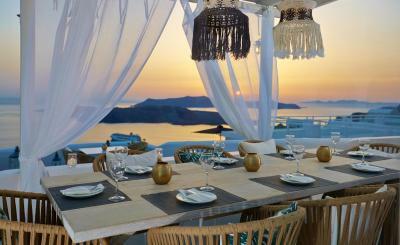 An amazing experience to live in Santorini. Really nice view very good location and food is good really thanks to Sofia for all the info that she give us. The breakfast, staff, and hotel were great. Very accommodating and friendly. It’s one of the best hotels I ever have been in. It has breathtaking views. The staff is very friendly. Perfect location to view sunset in September. Great breakfast. Beautiful and vast terrace to sit and relax. Volcano View by Caldera Collection This rating is a reflection of how the property compares to the industry standard when it comes to price, facilities and services available. It's based on a self-evaluation by the property. Use this rating to help choose your stay! 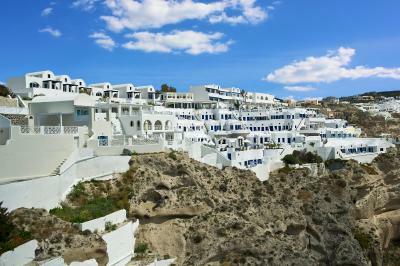 Standing majestically on the edge of the cliffs, Volcano View features a restaurant with Caldera view, and 3 swimming pools overlooking the volcano, the sea and the famous Santorini sunset. 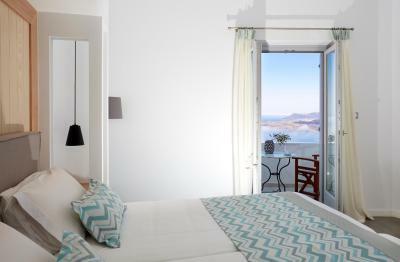 All guestrooms have a private balcony or terrace overlooking the sea and the volcano. They are equipped with individual climate control units, satellite TV and hairdryer. Volcano View by Caldera Collection is consisted of of three areas, the Hotel, perched atop the caldera cliffs offering fantastic views of the sea, the VIP Villas consisting of 7 luxury villas with private pools, and the affordable rooms, which benefit from the hotel’s facilities. 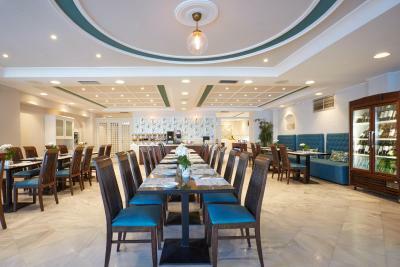 The Caldera restaurant is open for a la carte meals from 13:00 to 22:00 and you can choose from a wide selection of traditional Santorini and Greek appetizers, fresh crispy salads, international cuisine and desserts, while admiring the unique view of Santorini’s Caldera. 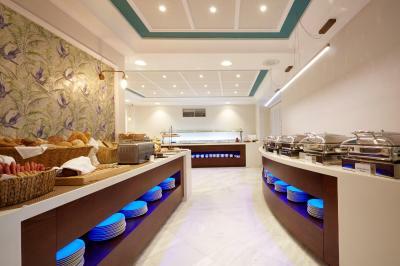 Greek breakfast can also be enjoyed daily. Volcano View is just a short drive from the center of Fira. The reception desk is open 24 hours for assistance and inquiries, and guests are provided with free transfer to and from the town. 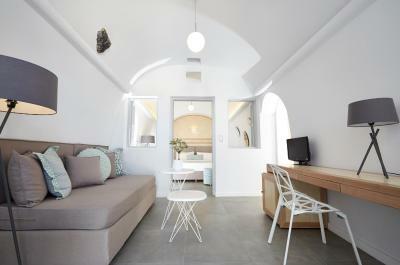 When would you like to stay at Volcano View by Caldera Collection? 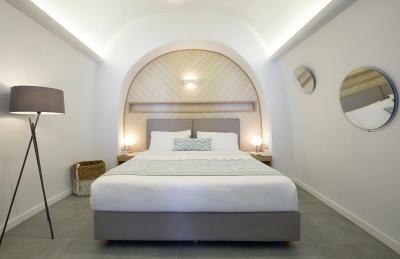 Traditional cave rooms on the cliffs with caldera / sea view. This room is in the main building with a sea view. 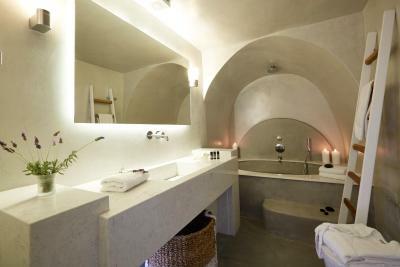 These suites have a living room, hydromassage bathtub, and volcano view from the private terrace with Caldera view. 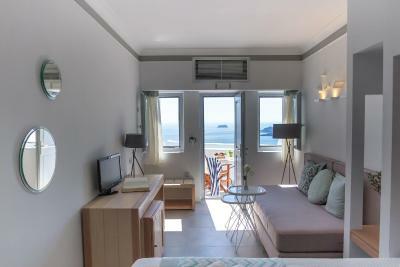 This spacious villa is perched on the cliffs and has a sea view balcony and private pool terrace with Caldera view.It features 2 separate bedrooms, an open plan living room with kitchenette, and 2 private bathrooms with hydro massage tub. 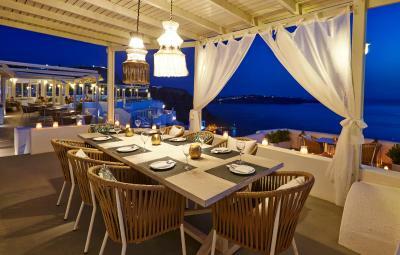 This villa is perched on the cliffs and features sea view lounge balcony and private pool terrace. 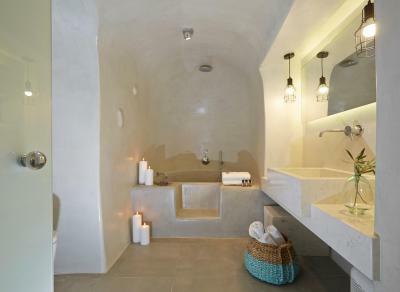 It has an open plan living room with kitchenette and 2 bathrooms, one of which with hydro-massage tub. This large villa is perched on the cliffs and features sea view lounge balcony and private pool terrace. 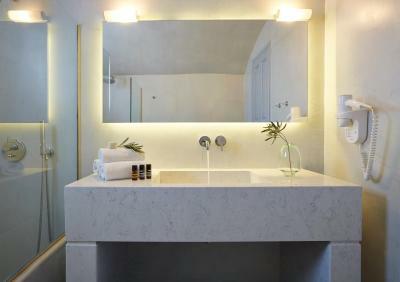 It has 2 bedrooms, an open plan living room with kitchenette and 2 bathrooms with hydro-massage tub. This large villa is perched on the cliffs and features sea view lounge balcony and private pool terrace. It has an open plan living room with kitchenette and a royal-size bathroom with large 4-person spa bathtub and sauna cabin. 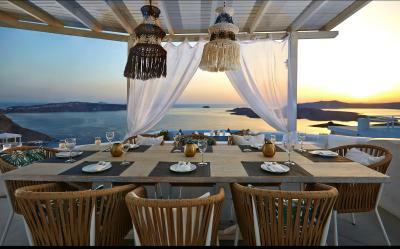 This generously furnished villa is perched on the cliffs and features sea view lounge balcony and private pool terrace. 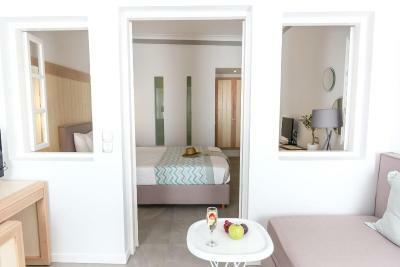 It has 2 bedrooms, an open-plan living room with kitchenette and a spacious bathroom, large 5-person hot tub and sauna cabin and a second bathroom with hydro-massage tub. 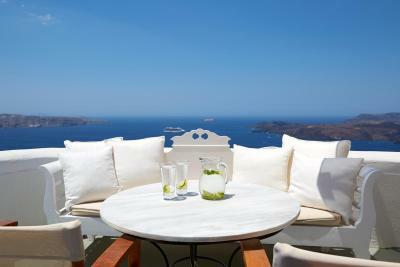 The Grand Suites have a private balcony or terrace with views of the Caldera and the Aegean sea. 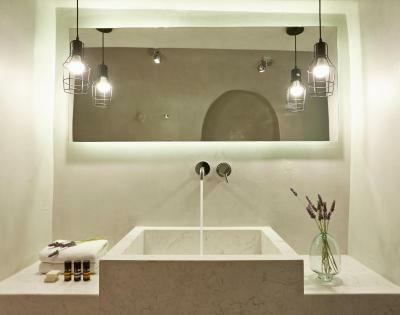 They have been recently renovated in contemporary style, and the bathrooms of the suites are elaborately decorated with hydro massage bathtubs. There are two sea-view pools in the cliff room area. Some have a whirlpool and showers. 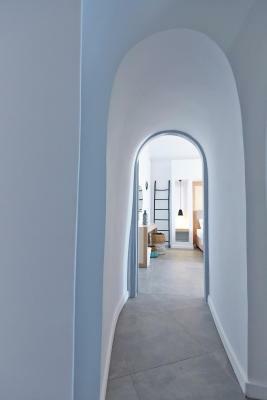 Please note that this room type is located at an annex building, so guests have to walk for 262 feet in order to reach the main building where the breakfast is served and all the facilities are featured. House Rules Volcano View by Caldera Collection takes special requests – add in the next step! Volcano View by Caldera Collection accepts these cards and reserves the right to temporarily hold an amount prior to arrival. 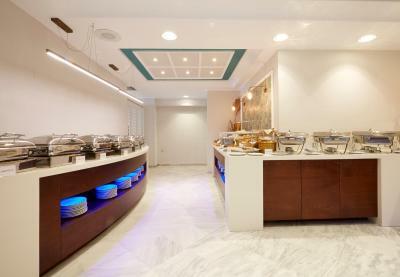 Volcano View Hotel participates in the Greek Breakfast Initiative by the Hellenic Chamber of Hotels. 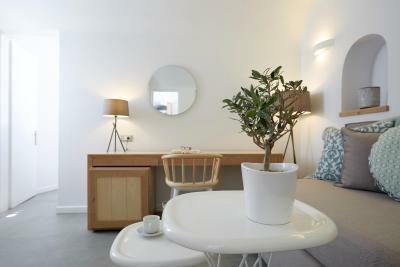 Please also note that the villas operate for most of the winter season. 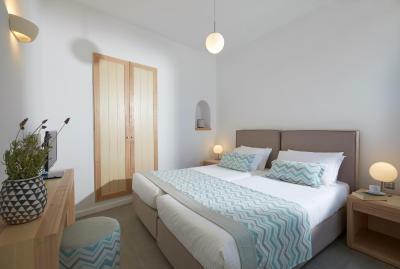 The winter villa package operates on a self catering basis with once daily maid service only. Summer services like 24-hour reception and free shuttle bus to town are not included in the winter. Breakfast is also not included since the hotel restaurant is closed. 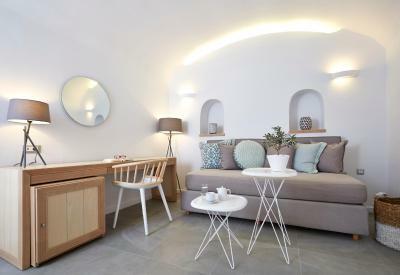 The villa manager will greet arriving guests and will be available 24 hours for any assistance you may require. Everything was perfect!!! Nothing bad to say. The room is cold . And reception's attitude is not good! No kettle! 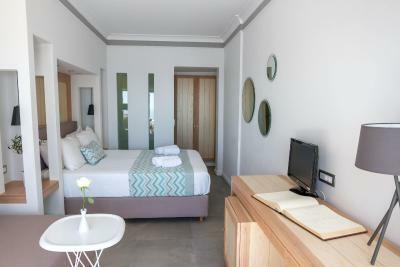 The hotel is located in front of the volcano, beautiful view overlooking the sea. the staff are very friendly and helpful. 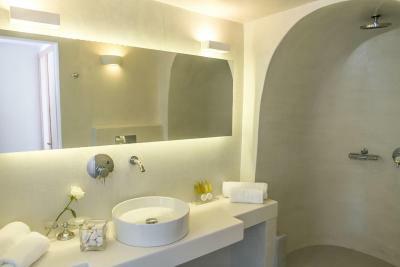 I have to mention that the staff at the reception Sofia went beyond to make our stay as comfortable and relaxing. Mary gave us all the relevant information to explore the island by ourselves. 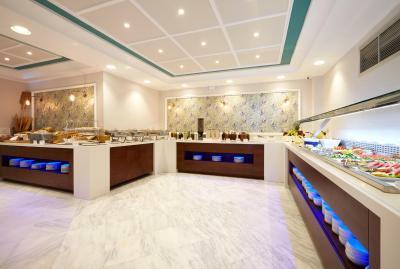 The restaurant at site has good selection of dishes and very well presented. Not really a negative point but a bit more variety on the breakfast would have been nicer..only because we stayed for 5 days. 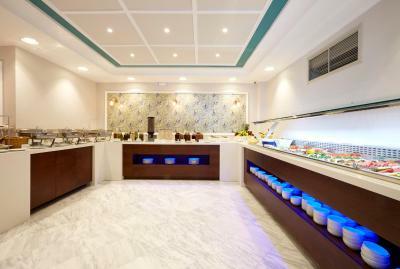 Extremely pleasant staffs especially at the reception. They have all been very useful. The location was superb and highly recommended. I wish the shuttle bus goes to town hourly instead of 2 hourly. The view is stunning and all the staffs are amazing. Location is 5 minutes away from town but there is a shuttle bus. My wife and I had a superb time there. In the room they have small TV, the heat don’t work temp on the room was cold. The internet is track your inf they will put ad on your account u have to provide the email not a good. Bed need to update!. There was no heated jacuzzi or pool to enjoy the view in. Also, the floors were very cold and if they could offer slippers that would help. Putting screens on the windows would help keep the bugs out and wind through to reduce humidity in the room.